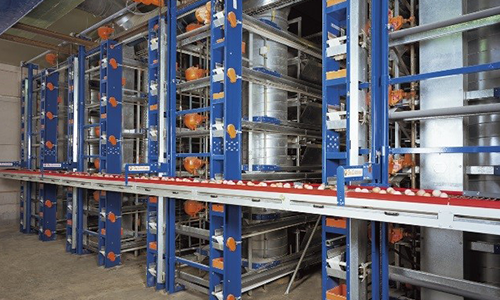 Designed by Big Dutchman – and a patent pending, the EggCellent Egg Elevator allows for high volume egg collection and minimal need for adjustments and maintenance. 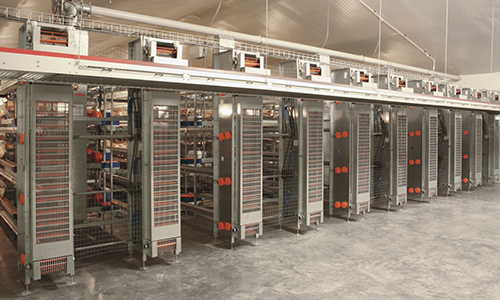 Reliable standard elevator for short systems. 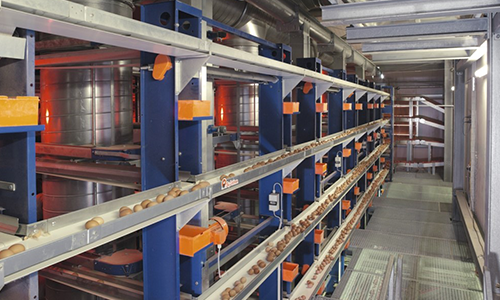 The lift collection system is an economic solution for small units or individual houses as well as for multi-level nests. 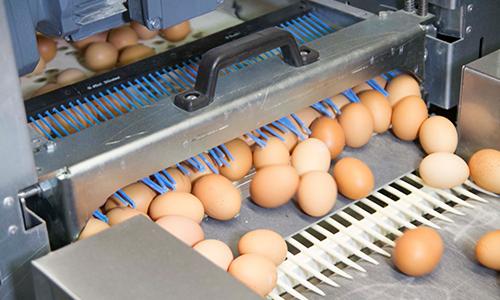 Handling of the eggs is very gentle, because there is only one transfer involved, when moving eggs from the longitudinal belt to the cross conveyor. 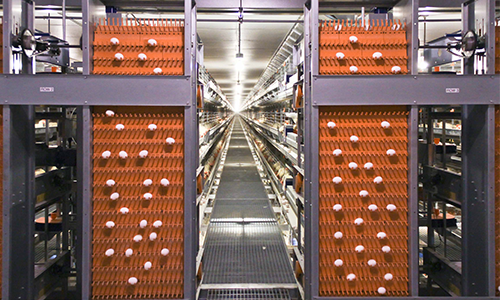 The EggTrax egg handling system ensures a safe and smooth transfer of the eggs to their next destination for packing.